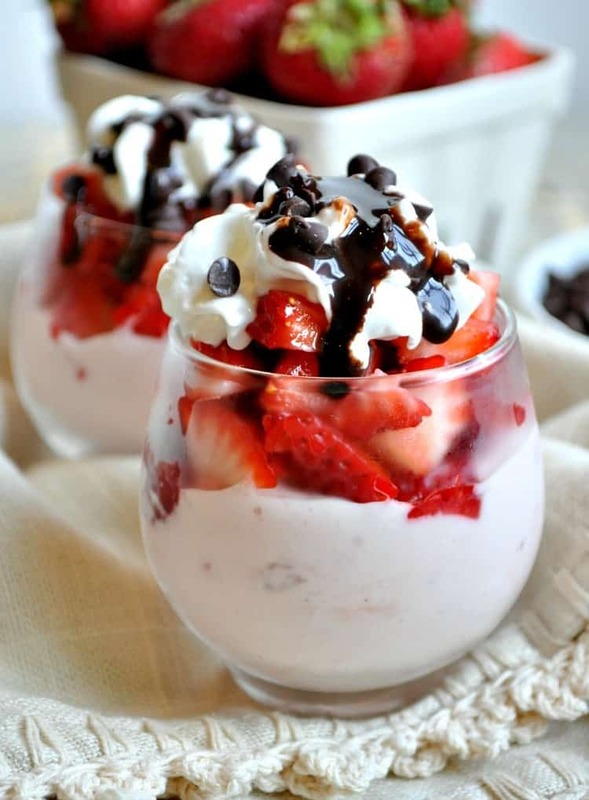 Indulge guilt-free with a rich and creamy Skinny Chocolate-Covered Strawberry Sundae! While it tastes like a decadent dessert, this sweet treat is low in calories, high in protein, and packed with fresh fruit. 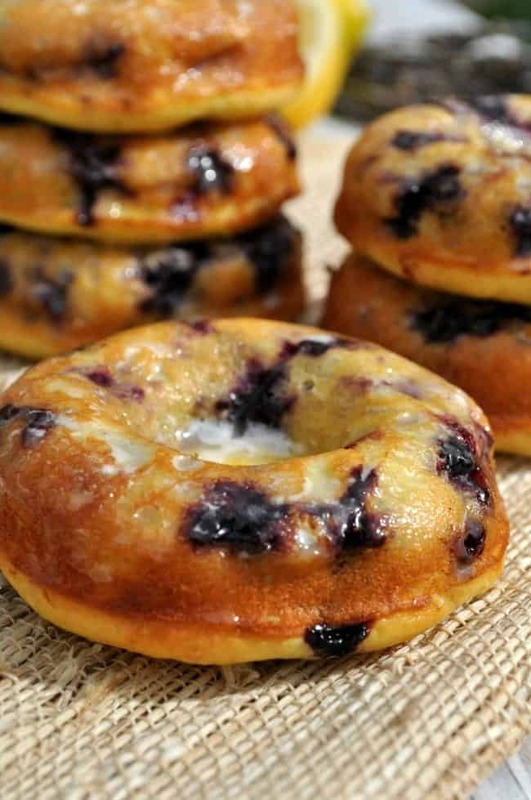 It’s the perfect healthy breakfast, wholesome snack, or light dessert to curb your cravings and keep you satisfied! In case you couldn’t tell, yogurt is one of our family’s favorite foods!! What’s not to love? 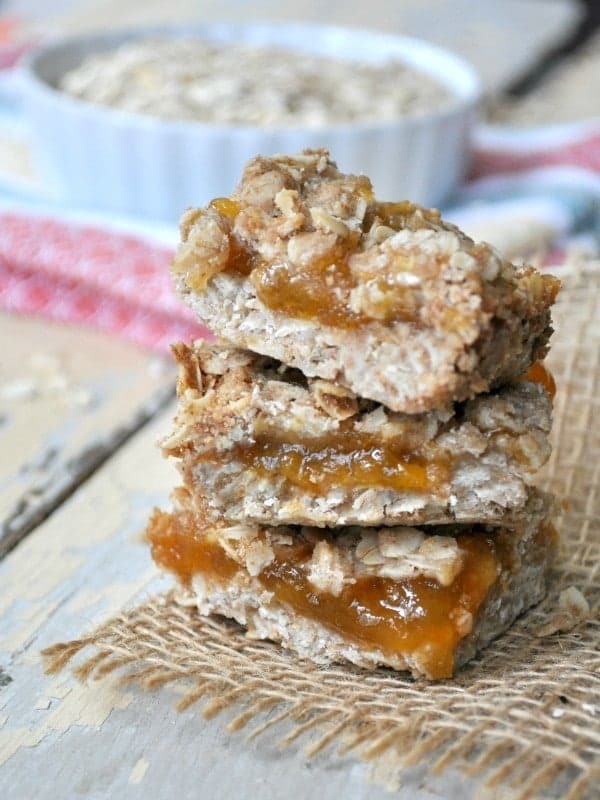 It’s a sweet and creamy treat that’s also good for us. That’s why I manage to find a way to serve yogurt (in some form) at least once or twice a day…and not just for breakfast! 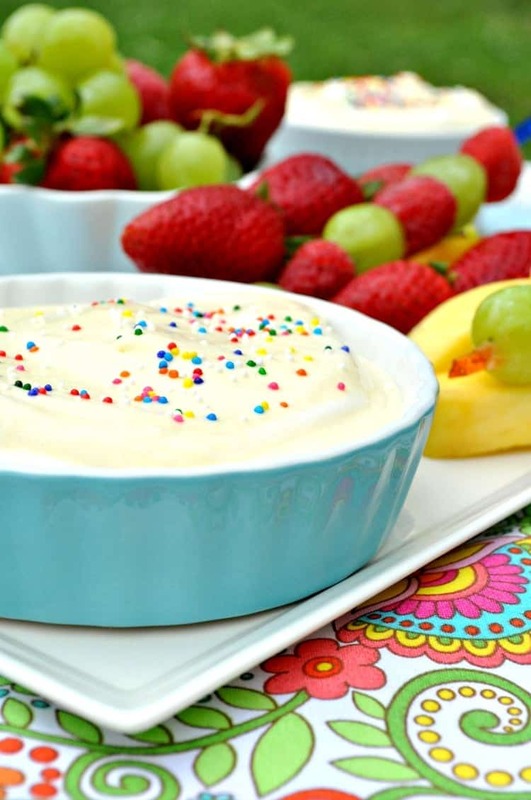 In fact, today I’m sharing one of my favorite ways to enjoy yogurt as a snack or dessert…and let me tell you: this is something that I eat on a very regular basis! Yogurt topped with granola, cereal, fruit, or chocolate has been my go-to bedtime snack for as long as I can remember. I feel like I’m indulging my sweet tooth, but it’s much better for me than a big bowl of ice cream! 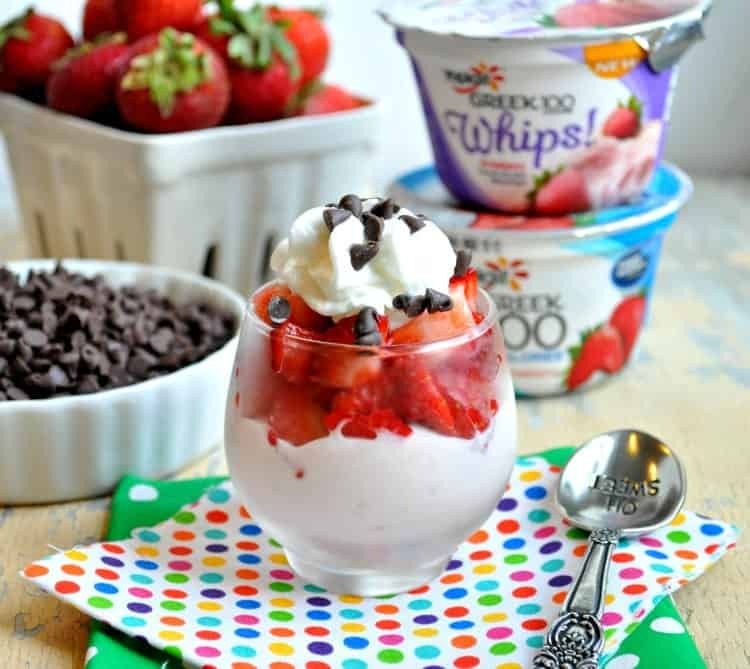 One of our favorite yogurt brands is Yoplait…especially because there’s something for everyone! I prefer the thick and creamy Greek-style yogurt, while Keith loves the Yoplait Original and Yoplait Light cups. My boys (no surprise) adore the varieties that are specifically designed for kids, such as the Gogurt and character-themed smaller cups. Best of all, I can grab our weekly supply of Yoplait any time I’m running through Walmart. Convenient, nutritious, and delicious. Win-win-win! 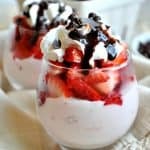 Since the strawberries are ripe in Virginia right now, I couldn’t resist sharing this tasty and SKINNY spin on a dessert classic. It’s a great way to treat myself to a cool, refreshing pick-me-up after some very hectic summer afternoons with the boys. By piling my yogurt high with fresh berries, I feel full, satisfied, and energized. This is fresh and healthy snacking at its best! 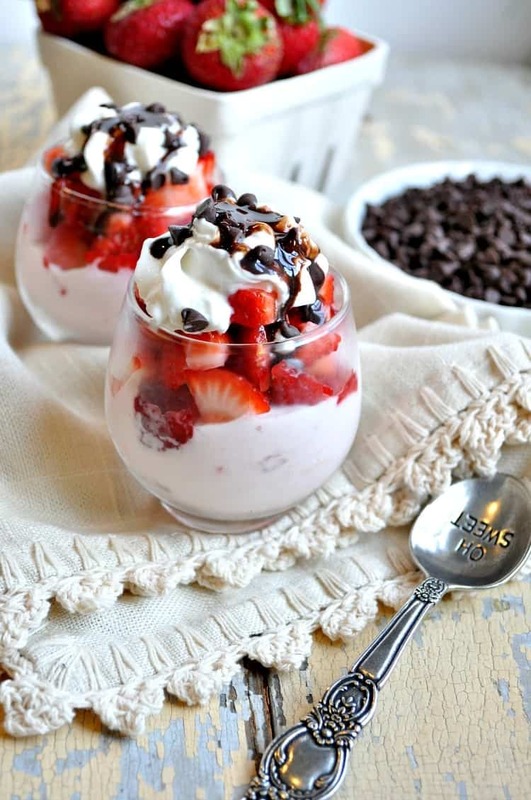 Place yogurt in the bottom of a small bowl. 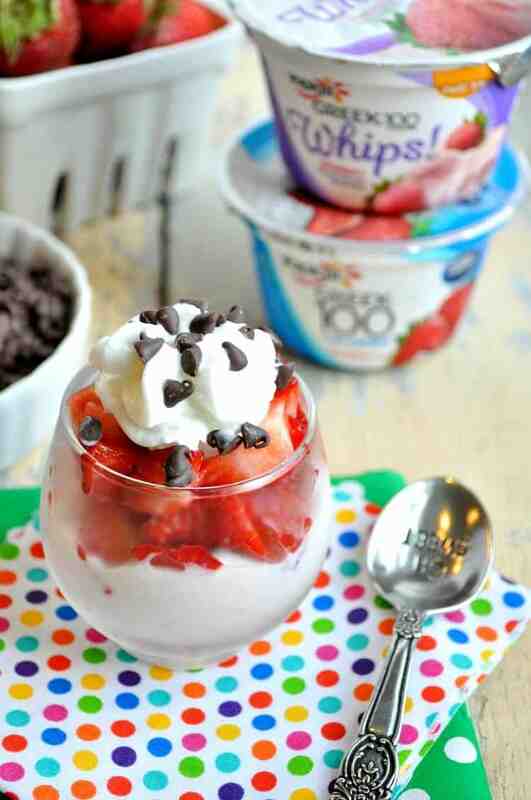 Top with strawberries, whipped topping, and chocolate chips. Garnish with a drizzle of chocolate syrup, if desired. 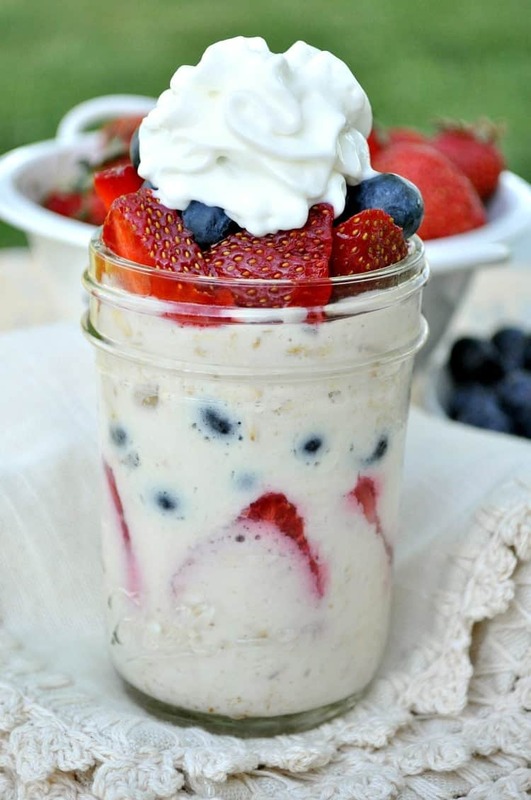 Be sure to follow Yoplait on Facebook for even more great snacking ideas and product information!